Produktinformationen "NEXTMesh EUROPE - BeNeLux"
Die FS Mesh Serie besteht aus 7 verschiedenen sehr hoch aufgelösten (4,75 m) Szenerien für Europa. Aus der Serie sind die Gebiete Frankreich, Spanien & Portugal, Italien, Deutschland, Großbritannien, BeNeLux und Schweiz & Österreich erhältlich. Die Szenerien können entweder einzeln bestellt werden oder als Bundle für das komplette West-Europa (Light-Version mit 19 m Auflösung). In order to detail the NEXTMesh specifications, it should be recalled what a mesh is and which parameters are used to describe it. In FSX, a mesh is a horizontal grid of the Earth’s surface for supporting the numerical description of the relief. The smaller the grid, the finer terrain relief will be. The global mesh in FSX has a 4.8 km resolution. 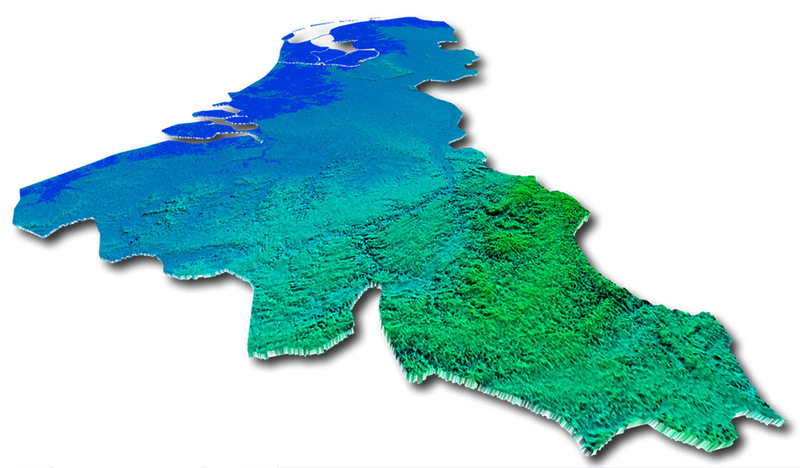 Europe regions have improved resolution with a 76m mesh resolution. Our HD mesh “whole Europe” is a 19m resolution. NEXTMesh EUROPE – Domestic products at Ultra High Definition are designed with the very best data currently available which is a 5m grid allowing the finest restitution. Finally the data have to be compiled to be usable by FSX. They are resampled according FSX world grid index system called LOD. This can lead to abuses (see below). Our Ultra HD products are resampled with 4.75m resolution and a vertical accuracy of 12.5cm. Compression rates are optimized to reduce files sizes and preserve data. Also the files are devided in areas of 0.5° x 1° to optimize the memory occupation and loading time. Weiterführende Links zu "NEXTMesh EUROPE - BeNeLux"